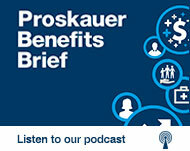 This article highlights some recent developments that employers with Puerto Rico employee benefits arrangements should consider concerning compliance with U.S. federal laws on health care reform and the Patient Protection and Affordable Care Act (“ACA”), fiduciary duties under the Employee Retirement Income Security Act of 1974 (“ERISA”), and Pension Benefit Guaranty Corporation (“PBGC”) coverage issues. A failure to comply with applicable U.S. federal laws in Puerto Rico may result in costly litigation and civil penalties as well as criminal penalties. provide uniform summaries of benefits and coverage. In 2014, additional requirements will become effective and will be applicable in Puerto Rico. Among them are prohibitions of exclusions for pre-existing conditions and annual limits on the dollar value of essential health benefits. In addition, employers must limit their new hire waiting period for insurance coverage to ninety days. The most controversial parts of the ACA do not apply in Puerto Rico. These are the so-called “pay-or-play” employer mandate and individual minimum essential coverage mandate. The employer mandate requires employers to pay certain penalties and/or fees based on the level of health benefits that the employer provides to its employees. The individual mandate requires most individuals to pay certain penalties if they do not secure minimum essential health coverage for themselves and their dependents. The ACA treats all bona fide residents of the U.S. territories as having minimum essential health insurance coverage. Therefore, individuals are exempt from the mandate. The two mandates are implemented through the U.S. Internal Revenue Code (“USIRC”). While the majority of U.S. federal laws apply in Puerto Rico, one notable exception is the USIRC, which generally treats Puerto Rico as a foreign country. Residents of Puerto Rico and their employers are instead subject to the Puerto Rico Internal Revenue Code (“PRIRC”). Although the Puerto Rico Internal Revenue Code (“PRIRC”) is similar to the USIRC, it does not directly mirror the USIRC. Therefore the employer mandate is also inapplicable in Puerto Rico. In addition, premium tax credits are also currently unavailable in Puerto Rico. Employers should remain aware, however, that Puerto Rico could amend the PRIRC to adopt the mandates. Another key component of ACA is the establishment of health insurance marketplaces. While they will become available in the Unites States on October 1, 2013, it is unclear whether Puerto Rico will establish a marketplace. If Puerto Rico does establish a marketplace, it will receive a funding allocation for premium assistance and cost-sharing assistance to residents who use the marketplace. ERISA demands that fiduciaries discharge their duties solely in the interest of participants and beneficiaries and for the exclusive purpose of providing benefits to participants and their beneficiaries and defraying reasonable expenses of administering the plan. In addition, fiduciaries are required to discharge their duties relative to the plan with the care, skill, prudence, and diligence that a prudent person acting in a like capacity and familiar with such matters would use in the conduct of a similar enterprise. ERISA’s fiduciary standards are particularly important because ERISA preempts all laws in Puerto Rico that directly or indirectly relate to an employee benefit plan, including defined benefit plans, defined contributions plans, and welfare plans offered by an employer or union. In other words, an ERISA fiduciary must comply with ERISA’s fiduciary standards, regardless of any laws in Puerto Rico that might provide different standards. Recently, in Puerto Rico Telephone Co. v. Sistema de Retiro de los Empleados del Gobierno y la Judicatura (D.P.R., Case No. 09-1085, 2013 U.S. LEXIS 56796), the U.S. District Court for the District of Puerto Rico applied ERISA’s preemption provision to a Puerto Rico statute that required the transfer of certain assets to a governmental plan and specifically noted that ERISA preempts any Puerto Rican law that refers to an employee benefit plan or is connected with an employee benefit plan. In order to meet the ERISA fiduciary standards, it is incumbent upon a fiduciary to take courses of action that are reasonable when making decisions that further the purposes of the plan. This means that a fiduciary must adhere to procedural prudence standards when making decisions impacting the plan (e.g., establishing comprehensive protocols for selecting and monitoring investment options or hiring experts where needed), just as a prudent person would. To be clear, there is no requirement that the prudent process deployed by the fiduciary render the “most favorable” result in all instances. In fact, courts have generally been reluctant to find a fiduciary liable for breaches where a prudence process was followed, but participants and beneficiaries were nevertheless adversely impacted. Fiduciaries must maintain comprehensive contemporaneous records of actions taken to establish prudence and if the fiduciary does not have sufficient understanding of an area, he or she is responsible for researching the area and taking such other actions necessary to gain the proper knowledge and understanding of the issue. In addition to adhering to the ERISA fiduciary standards described above, fiduciaries must ensure that arrangements with their service providers are “reasonable” and that only “reasonable” compensation is paid for services rendered in accordance with ERISA section 408(b)(2). In order to effectively discharge this duty, fiduciaries must obtain information from service providers that would enable them to make informed decisions about the scope of services, the costs of such services, the capabilities of the service provider and identifying any potential conflicts of interest. In this regard, the final regulations issued under ERISA section 408(b)(2) require service providers to disclose all compensation they receives under an arrangement. Another important development that employers and fiduciaries should be aware of is that the PBGC recently withdrew two older opinion letters (Opinion Letters 77-172 and 85-19), which addressed whether territorial defined benefit plans are covered by Title IV of ERISA. This withdrawal may be an indication that further PBGC guidance for Puerto Rico based defined benefit plans is forthcoming. The status of PBGC coverage for Puerto Rico defined benefit plans is one that has been the subject of review and analysis by the PBGC for quite some time. The Opinion Letters reflected the PBGC’s long standing position that a Puerto Rico based plan could be subject to Title IV of ERISA even if the plan had not made an affirmative election to be formally treated as a qualified plan under the Internal Revenue Code. It is difficult to draw any definite conclusions from the PBGC’s decision to withdraw the Opinion Letters, but it appears that the PBGC may now consider the affirmative election to be a prerequisite before a Puerto Rico based plan is subject to Title IV of ERISA. While much attention has been given to the impact of the mandatory provisions involving health care reform in the U.S. mainland, employers with Puerto Rico health and welfare plans also must ensure compliance with the applicable ACA requirements. In addition, employers should be aware that Puerto Rico could amend the PRIRC to adopt a provision similar to or the same as the USIRC provisions of health care reform, which means further analysis of benefit plans to ensure compliance. In addition, employers should keep in mind that the ERISA fiduciary standards apply equally to Puerto Rico based plans. Thus, fiduciaries for Puerto Rico based plans must be mindful that ERISA demands that they discharge their duties for the exclusive benefits of plan participants and beneficiaries and that they act with the care, skill and prudence of a prudent person. In this regard, fiduciaries must maintain good contemporaneous records of actions taken to establish prudence and diligently monitor service provider compliance and closely evaluate the disclosures in accordance the final regulations under ERISA 408(b)(2) to ensure that only reasonable compensation is paid to service providers. Lastly, employers and fiduciaries for Puerto Rico based plans should diligently monitor the developments related to the PBGC’s recent decision to withdraw the Opinion Letters since plans not covered by Title IV of ERISA are not subject to PBGC premiums, liabilities under ERISA section 4062(e), or the PBGC reporting requirements.